Presidential stooge Mike Pence landed in hot water during the 2016 US election, after he faced (legitimate) complaints over his record on LGBT+ rights. Lots of people in the US felt the call to “change […] sexual behaviour” referred to a term you might not have heard before: conversion therapy. In short: some people want to eliminate queer identity, and replace it with heterosexuality – because they think heterosexuality is inherently superior. This is obviously nonsense. No one should be told their identity is something that can be cured, and the importance of recognising LGBTQ+ identities as valid is wonderfully summarised in this article. Isn’t this only a problem in the US? Thankfully, we don’t hear about conversion therapy as much in the UK as people do in America. 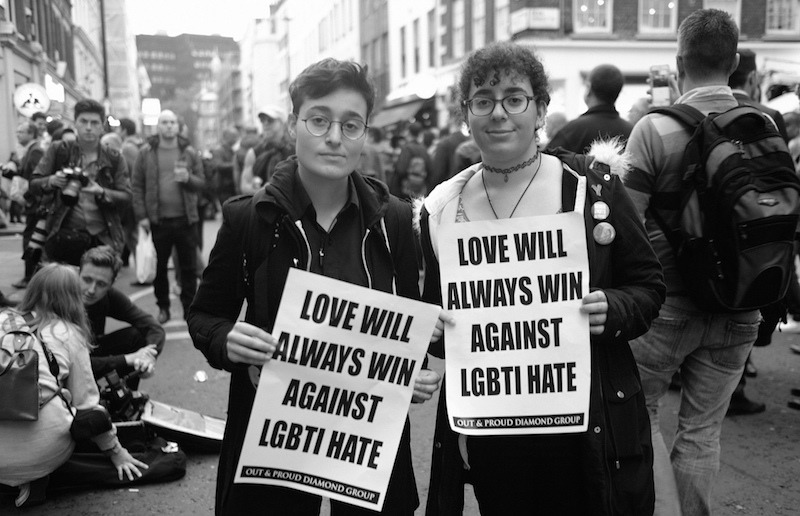 All of the UK’s major counselling and psychotherapy bodies, as well as the NHS, have concluded that conversion therapy is dangerous and unethical, and have condemned the practice. However, while there isn’t the same history of bible-belt parents shipping off their children to gay conversion centres, harmful attitudes around conversion therapy do exist in the UK, and can be very insidious. We have seen reports of “psychotherapists” believing that homosexuality is “a mental illness, an addiction or an anti-religious phenomenon”. We have seen former members of parliament falsely claim that gay activists only protest against conversion therapy to attack Christians. Just three years ago, Stonewall’s Unhealthy Attitudes survey found that people within the NHS still think gay people should be “converted”. And in 2017, a BBC radio station thought it was acceptable to run a twitter poll debating whether conversion therapy was a viable option for LGBTQ+ people. We also have a government that publicly condemns the practice but refuses to take action to make it a criminal offence, or meet with campaigners about banning the practice. To summarise: the LGBTQ+ community faces a constant attack on our very existence whilst this practice is still legal in the UK. We need to start talking about it, and we need to start being concerned. Most importantly, we need to stop it.